Twinside retaining walls are designed for use in high-load, long-term applications. It’s also ideal, and fully certified for, use in high-speed wind areas in conjunction with Colorbond fencing mounted above the wall. Twinside is named for its double-sided pattern that is visually appealing from both sides. It’s also easy to install, which saves on installation costs. It’s available in a wide range of patterns and colours to compliment your landscaping. These retaining walls are made of concrete retaining wall blocks and panel posts with steel reinforcing. They are termite-resistant and can be used in most soil environments for ideal use in most residential and commercial applications. 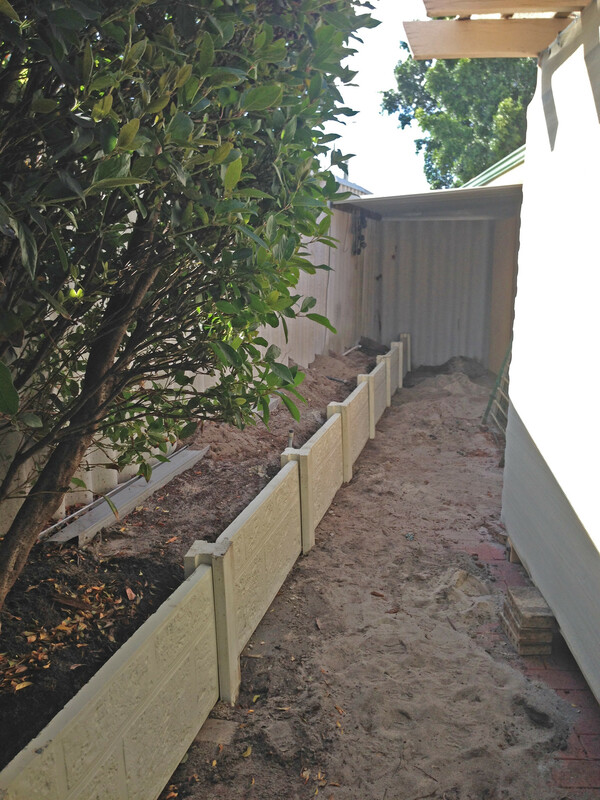 Team Work Fencing installs Twinside retaining walls for clients throughout the Perth area. For more information, or for a free, no-obligation consultation and quote, please contact us today! We’re looking forward to working with you.